Guilt and parenthood just seem to go together. Maybe you lost control and screamed at your child today. Or perhaps you’re struggling to give your kids enough. Or you might even be worrying that you’re doing too much for your child. Taking responsibility takes the blame out of the situation and helps parents to focus on the next step. So, forgive yourself for these six parenting mistakes. That means putting aside the blame, forgiving yourself for your mistakes or perceived shortcomings, and moving forward with a fresh perspective. Forgive yourself for losing it and yelling at your kids out of anger or frustration. We all get frustrated and have negative feelings toward our children at times. It’s normal to feel angry, frustrated, or disappointed when your children don’t behave the way you expect. And it’s certainly not possible to stay calm all the time. If you’re like most parents, you probably raise your voice, yell, or even scream at your kids now and then. And let’s face it, kids are great at pushing our buttons. Your child studies you for a living and knows just what will push you over the edge. Know that it’s entirely normal to feel guilty after losing it. But take heart, for there is a silver lining. 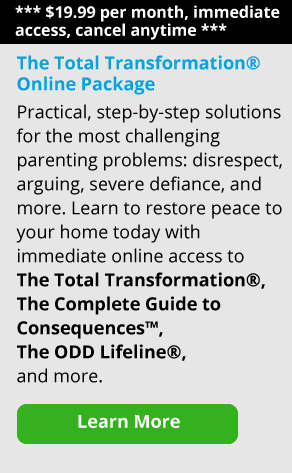 You now have an opportunity to model responsibility and problem-solving for your child. Use this moment to teach your child how to be contrite, how to apologize, and how to take responsibility. And remember, when you apologize, don’t follow the apology with a “but.” For more on apologies and the word “but,” please see this great article by James Lehman: Kids, Blaming, and Apologies: Everything after “But” is Bull. Part of a parent’s job is to set limits on their kids. Know that it’s normal to have difficulty being consistent with those limits. Maybe you’re tired, feeling overwhelmed, or just not sure how to handle your kid’s behavior. Perhaps you have a child who pushes back and gets really mad when you do set limits. These factors all make being consistent even harder. If this is the case with you, remember this: if your child doesn’t get upset with you at all, ever, then you probably aren’t doing your job. When you’re setting healthy limits and boundaries for your child, there will be times where he will feel sad or angry with you. It’s your role to set limits and your child won’t be happy with all of them. That’s the nature of limits. To get better at being consistent, ask yourself a few questions. What causes you to falter with consequences or follow-through? Is it that you’re forgetting what you said you would do? Or is it that you are just too exhausted to follow-through? Identify your personal obstacles, and then make a plan to tackle them one by one. If you believe that you haven’t set enough limits in the past, don’t despair. It’s never too late to start defining limits and boundaries. Choose one area to focus on first, such as backtalk. Then, slowly start introducing more limits. Decide in advance how you will hold your child accountable if they don’t respect the boundaries. And expect that, at first, your child will push back hard. If she’s not used to limits, she may need time to adjust and she will take it out on you. But stand firm and things will settle down. It’s not easy, but it’s never too late to start setting more limits or being more consistent. 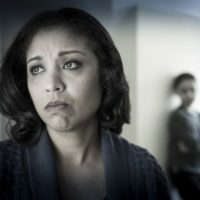 When a family goes through difficult times, such as a divorce, a move, a job loss, or a death in the family, it’s tempting to blame yourself for your child’s acting-out behavior. Or maybe your child’s co-parent has moved out and you feel like you have to make up for their absence in some way. As a result, it’s easy to let go of some of your standards and limits because you feel that your child is going through such a tough time and he needs a break. Whatever your situation, remember that this is part of life. As difficult as it is, bad things happen to everyone. Of course, you want to be empathetic and listen to your child, and get your child help if they need it, but it doesn’t mean that you should allow them to behave inappropriately. It’s a tough lesson for kids, but nobody has a picture-perfect life and no child grows up in a bubble that protects them from struggles and negative emotions. As parents, as much as we’d like to, we just can’t prevent conflict, tragedy, or loss. Trying to make up for life’s struggles by being overly permissive or indulgent is a mistake. When times get tough, children still need structure. They still need limits. And they still need someone to guide them along in a regular routine. For this reason, children should still have rules and consequences, as well as chores and responsibilities. Do your best to strike a balance and also provide your child with open arms and ears to love and guide them through it. You can’t control other people or the world around you, but you can control yourself and how you parent your child. It’s always best to focus on what you can control and remind yourself that you’re doing your best and that you are enough. Doing too much for your child, also known as “over-functioning,” is another trap that’s easy to fall into for parents. This is especially true when parents are feeling guilty. Every day, parents tell their children to do their chores, for example. They tell them once, and then three times, and then six, and then finally it’s just easier to give up and do it yourself. Or perhaps your child is struggling with a school project and crying and carrying on about how it’s too hard. And you help him. And then you both get tired and to get the work done you end up practically doing it for him. It’s very important not to step in and rescue your child from challenges. Whatever those challenges are, doing too much to help your child through them is only going to give your child the message that you don’t see him as capable enough or smart enough to do it on his own. Therefore, the next time you think of doing something for your child that he can do on his own, and really should do on his own, think about how you can guide him instead of doing it for him. Don’t deprive him of the opportunity to learn a valuable life lesson. But, when you slip and start to over-function for him, forgive yourself. Just catch yourself and try to do better tomorrow. These habits are hard to break! We’ve all done it, which is why “You’re grounded for life!” is such a classic and humorous catchphrase for parenthood. When you inevitably do this, begin by forgiving yourself. No parent is perfect. After all, we all say things that we don’t mean when we’re upset or angry. And then, try to remember this advice for the next time: when you threaten or give consequences in the heat of the moment, the things you say you’re going to do are often things you can’t realistically enforce. Thus, the consequence has no effect. What also happens is that you use words that aren’t effective in teaching your child the skills he needs to change his behavior. Over-the-top consequences are like a threat. At best, this threat is simply ineffective since you can’t reasonably follow through. But at worst, it teaches your child that threats are a legitimate way to deal with people. And it also teaches your child that you don’t really mean what you say and that your words carry little weight. So what should you do? Take a deep breath, and stop giving consequences in the heat of the moment. Walk away and cool off. And then, later on, you can hold your child accountable with consequences that are well-thought out, realistic, and meaningful. Many parents feel that they aren’t able to spend as much quality time as they would like with their children. Part of this is the world we live in. We work hard to support our families, and modern life is fast-paced and frantic. But remember that you are only one person. There is only so much you can do in a day. Keep your to-do list and expectations realistic. Just try to schedule some quality time with your child most days, whether it’s playing a board game after dinner, helping with homework, cooking with them, or going for a walk. You might also try to establish some regular weekly family time if you can, where you all take turns choosing a family activity. The phones go off, laptops are put away, and you focus on just having fun together. On top of never having enough time, does anyone ever really have enough money? For most of us, there are always bills to be paid and expenses that come up unexpectedly. Life costs money and it seems as if parents are constantly in competition with others to give their children the most and the best. The best house, the best phone, the best clothes, the most toys, and so on. Often, your child’s best friend will have something super cool that you can’t afford, and your child will feel jealous and left out. If you ask me, it’s more important to teach your child strong values: hard work, saving money, careful spending, gratitude for what you have, and giving to others who are less fortunate. Considering all these things, is it really that important for your child to upgrade to the new iPhone? Instead of wracking your brain to figure out how you can buy that fancy item for your child, why not help your child think of some ways to earn and save money to buy it himself? Perhaps if he earns a certain part on his own, you can reward his hard work by matching a portion of his earnings. The point is to take the focus off of the material things and to put it back on values. Be the kind of parent you want to be, not the kind of parent you think others expect you to be. We all make mistakes. We all do things that we regret. And we are all imperfect parents. That’s okay. The great thing is that tomorrow is a new day and you can choose to forgive yourself. Just learn from your mistakes and move on.